Residuals, have mean Zero so it does mean that residual is balanced among the data points , so no pattern its just scattered and there will almost equal positive and negative. mean(fit$residuals) - must give a value very close to zero. There is no correlation between residuals and predictors. 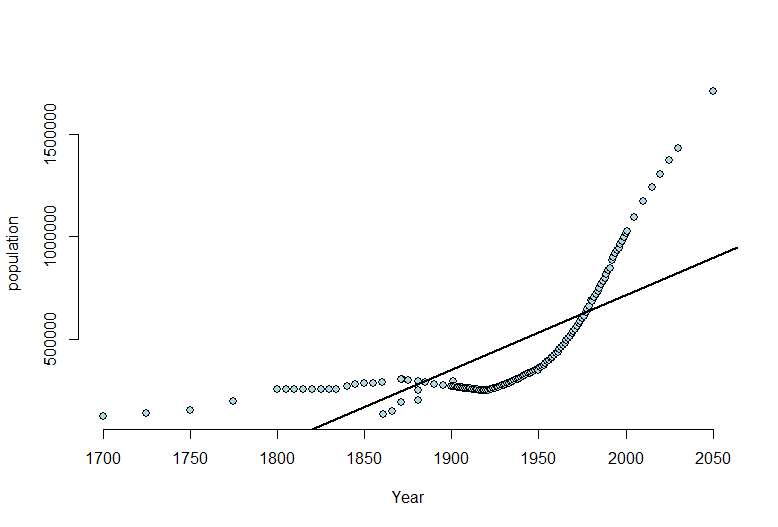 Regression line is the line through the data which has minimum (least) squared 'error', the vertical distance between actual predictor and the prediction made by line. Squaring the distances ensures the data points above and below the line are treated the same. The method of choosing the 'best regression line' (or fitting a line to the data) is known as ordinary least squares. 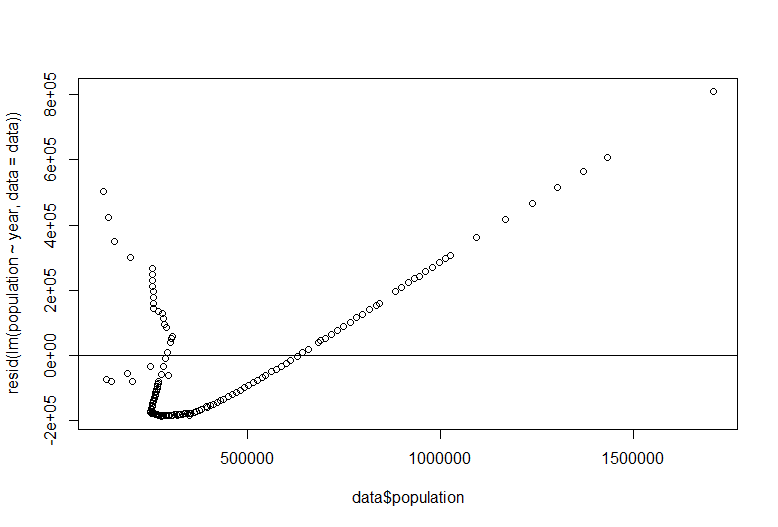 Well i already mean it to make the data work properly , but nothing helped. So Now I knew that I need to transform my data to some format so I searched on internet and found some keyword named Residual Plot. Residual is the error between an actual value of dependent variable and predicted value. So avoiding all these mind blowing keyword behind , I finally derived that its a way to find a model is a 'good fit' or not. 1. 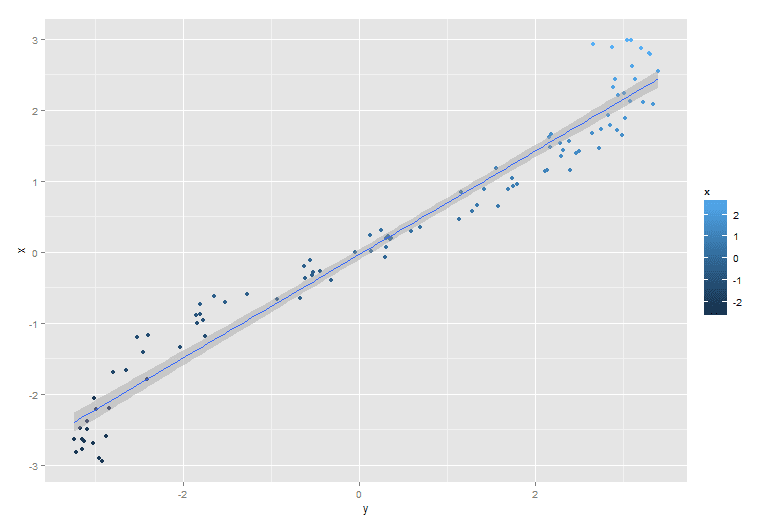 The residuals for the 'good' regression model are normally distributed, and random. 2. 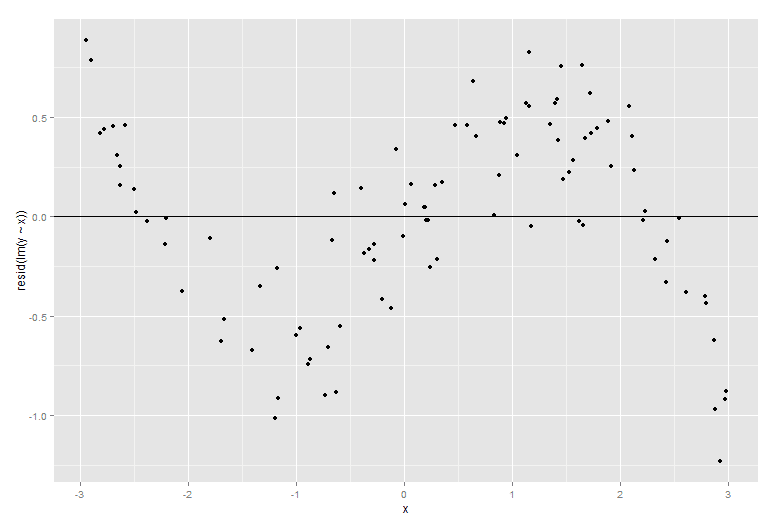 The residuals for the 'bad' regression model are non-Normal, and have a distinct, non-random pattern. What I can see a pattern now , I sin wave, ahh... so it says the model looks to be good but it not, so just don't go with scatter plot or model, there may be trouble inside, there is no harm to run the residual plot .